The Country of Origin Food (CoOL) Labelling Information Standard 2016 (Standard) commenced on 1 July 2016. Country of Origin information must be visible on your product by the end of June 2018. 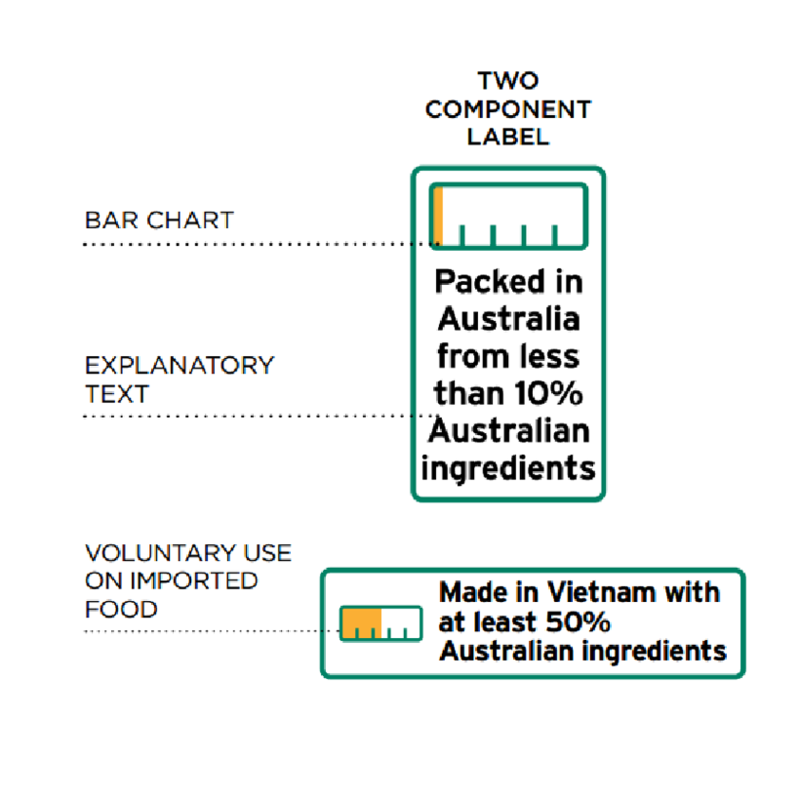 It requires most food suitable for retail sale in Australia to carry Country of Origin information. This information may take the form of a text statement (statements may need to be in a defined box) or a text and graphic label known as a standard mark. 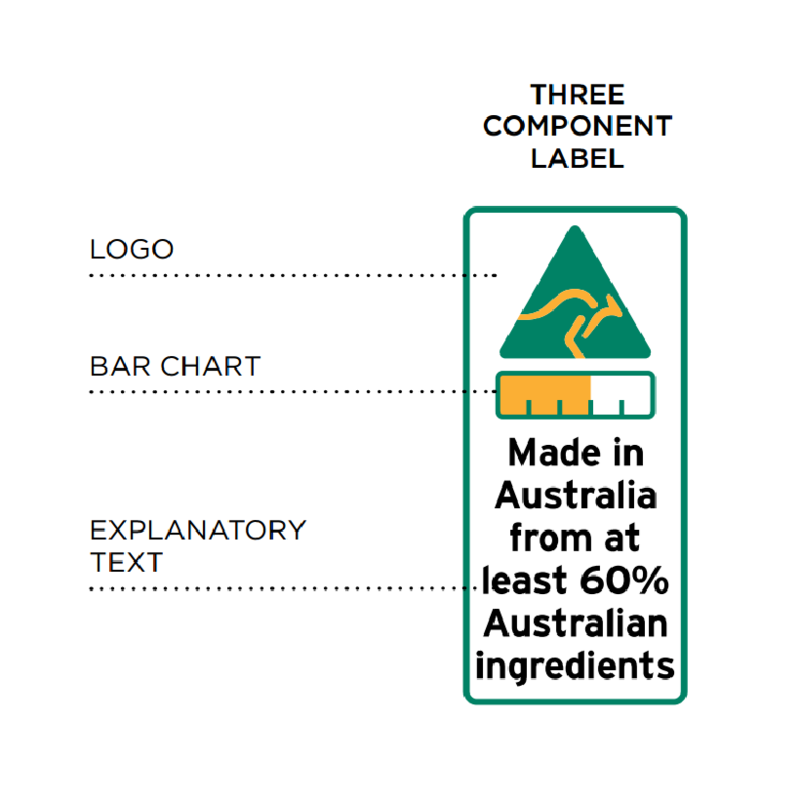 By the end of June 2018 under the changes, it is mandatory for all priority foods grown, produced or made in Australia to include the AMAG logo together with a bar chart to indicate the proportion of Australian ingredients. Food manufacturers will be encouraged to include the origin of ingredients in additional detail on their labels. Made in Australia from less than 10% Australian ingredients. - Made in Australia from at least 50% Australian ingredients. 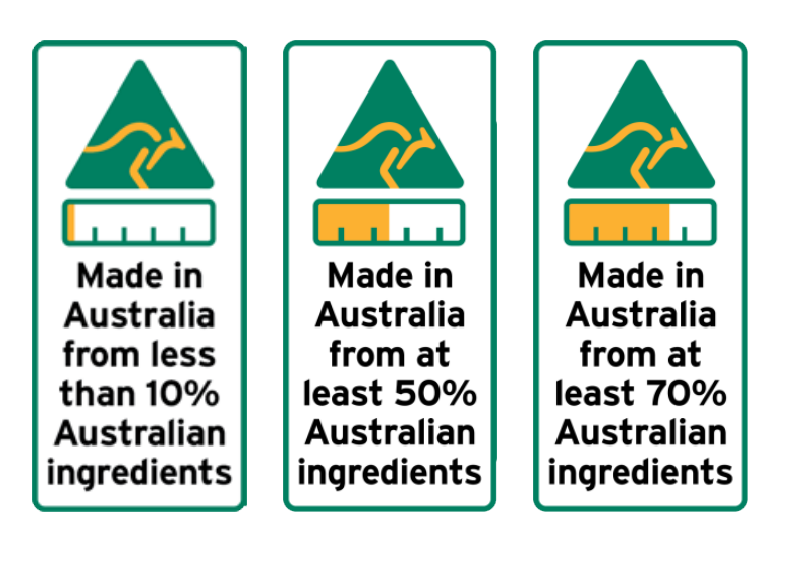 - Made in Australia from at least 70% Australian ingredients. Packed in Australia from less than 10% Australian ingredients. Made in Australia from at least 60% Australian ingredients. Clearly defined box .... Produced in Mexico. - Tess Walker, West End Tea Co.